England went into this series as the best team in the world, well-rested after a deserved break and with the most in-form batting line up around. They end it battered and bruised, with their number one status looking a bit silly and their middle-order in total disarray. They haven’t even been in the Emirates a month, yet it feels like they’ve learnt a lot about themselves and experienced one hell of a reality check in such a short space of time. The final day of the series followed in a similar pattern to the previous nine; no batsman ever really looked comfortable when faced with a trial by spin, then just as each player got to the stage where it should have been getting easier they managed to get themselves out. 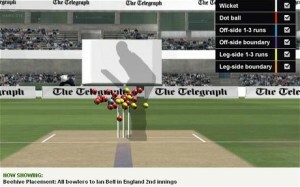 Ian Bell’s tour probably provides a neat summation of England’s batting efforts as a whole; having been initially bamboozled by the doosra a fortnight ago, he has been endeavouring to find increasingly ridiculous ways to get out since then. Today he scratched his way through Saeed Ajmal, his tormentor throughout, before somehow guiding a delivery from Umar Gul that was so wide he could have done himself a mischief reaching it straight to Asad Shafiq at point. The damage was done before this innings – if you bowl a team out for 99 on the opening morning of a Test match, your next move probably should not be to try to concede a first innings lead – but the inability of anyone to build a substantial innings yet again was immensely disappointing. It’s been good to see that while there have been inevitable criticisms of England’s performance, there has been universal acknowledgement as to how well Pakistan themselves played throughout. There were hardly any voices predicting a home win prior to the series (certainly not us…) and anyone foreseeing a whitewash would’ve been laughed out of the room. Token second seamer aside, their bowling attack was absolutely sensational in every game, and never allowed England to get away from them. It was not merely a question of constantly threatening to take wickets – even when they weren’t their accuracy was so exceptional it meant they were still building pressure. Both Gul and Abdul Rehman were perhaps underestimated before the series kicked off, but they provided such good support to Ajmal that England were never able to get close to the sort of scores they have been putting on the board consistently over the past couple of years. Even their batting, pinpointed beforehand as a potential weak link, fought hard under serious pressure in a way their opponents failed to do and managed to give their bowlers something to work with on almost every occasion. Younus and Misbah played an outstanding innings each, but everyone contributed at some point, and it was the performances of their younger generation – Azhar Ali, Shafiq and Adnan Akmal – at crucial points in all three games which really laid the foundations for this victory. In addition to his vital runs with the lower order in the first Test which took the game away from England, Akmal III has been generally very good with the gloves as well as worth watching for his relentless LBW appeals. The excited squealing particularly wound up Ian Botham, which is something we can all get behind. We got Monty Panesar out! Andy Flower spoke post-match of how he took responsibility for the team being under prepared going into the series, and for giving them such a long break over the winter. Whilst his honesty is admirable, as it always is, blaming a lack of games for poor performance across each Test is perhaps trying to deflect blame away from his players. You would hope that two proper warm-up games in the build up to three Tests would give the squad enough playing time for them to play properly at some point. Many people were concerned England may be rusty in the first Test, no one expected it to still be a problem in the Third. They will deny it until the end of time, but it does seem that the tourists underestimated their opponents and weren’t mentally ‘up’ for this series as they were for the Ashes and India’s tour last summer. The post-mortem will continue until England reach Galle in six weeks time, and a lot of the reaction will be very over the top. The likes of Bell and Kevin Pietersen, as well as Andrew Strauss, have scored enough runs in the past to be given plenty more time to make amends. The most disappointing thing has been the way they have failed to develop any sort of plan to deal with the spin threat, to the extent that even in this game they still seemed torn between attack and defence. They’ve tried sweeping, using their feet, playing off the back foot and pushing forwards. They’ve tried grinding it out and being positive. The only common denominator has been that they kept getting out. Even the best batsmen will struggle against quality bowling, but England’s ascent to the top was built on intense preparation and developing counters to every threat. It is both a surprise and frustrating that they have failed so spectacularly in that regard this time around. In the short term, we have four ODI’s and three T20’s (no, us neither) to look forward to. England could quite conceivably lose all seven without breaking sweat, though the addition of some fresh faces from a successful Lions side may help to stop the rot. Strauss, Bell, Matt Prior and Jimmy Anderson may well all get some time off to think about what they’ve done, while Shahid Afridi will come into the Pakistan side and cause absolute chaos with his 100mph leg breaks. Looking further ahead, England’s whistle-stop tour of Sri Lanka is going to be important because they need to remind themselves how to win in conditions they aren’t used to, especially with India on the horizon. A team with a far inferior bowling attack to that of Pakistan may provide some relief. The victors don’t have a great deal to do between now and the T20 World Cup in September. A couple of Asia Cup matches are their only commitments in the interim, which is a shame, as they have built up some serious momentum which will now go to waste. By the time they next step into the Test arena they may well have a new coach and the likes of Misbah and Younus will be another year older. Much like England, Pakistan need to win a big series away from home to completely prove themselves, but right now the signs are very promising indeed.